Congratulations to all of the participants in the 2013 IMO. The US team came in third place to China and South Korea. The US team had 4 gold medals and 2 silver medals. It looks like the US team had a strong showing this year with 5 gold medals and 1 silver coming in behind Korea and China. 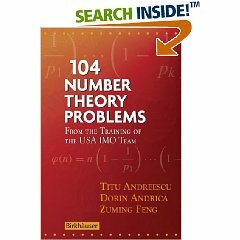 Dr. Zuming Feng, coach of the US IMO team and author of multiple books on Olympiad problem solving, shared valuable techniques for solving the Diophantine Equations which occur frequently in problem solving contests. The students worked through a series of increasingly difficult problems and Dr. Feng guided them through ways to leverage their number sense and algebra to limit the number of possible solutions saving them invaluable time in a contest situation. If you missed Dr. Feng this weekend we are happy to say that he will be returning to Metroplex Math Circle on March 7th. The video below shows Dr. Feng discussing solutions to the 2006 International Mathematics Olympiad. In addition to being the subject of books like Count Down, the Director of Metroplex Math Circle, Dr. Titu Andreescu is also the author of multiple books on problem solving. 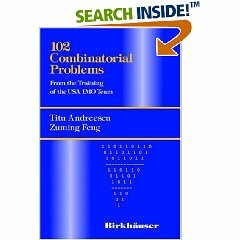 These books draw on his many years of experience as the director of AMC, coach of the US International Math Olympiad team and author of many contest problems. To help the Metroplex Math Circle community we have created an Amazon List with some of Dr. Andreescu’s currently available books. In addition to Dr. Andreescu’s books for experienced problem solvers we have also included some books and resources on the list for students just starting into problem solving. Not only does Metroplex Math Circle benefit from Dr. Andreescu himself, but many of his co-authors are also friends of MMC and frequent lecturers. Dorin Andrica received his Ph.D. in 1992 from “Babes-Bolyai” University in Cluj-Napoca, Romania; his thesis treated critical points and applications to the geometry of differentiable submanifolds. Professor Andrica has been chairman of the Department of Geometry at “Babes-Bolyai” since 1995. He has written and contributed to numerous mathematics textbooks, problem books, articles and scientific papers at various levels. He is an invited lecturer at university conferences around the world: Austria, Bulgaria, Czech Republic, Egypt, France, Germany, Greece, Italy, the Netherlands, Portugal, Serbia, Turkey, and the USA. Dorin is a member of the Romanian Committee for the Mathematics Olympiad and is a member on the editorial boards of several international journals. Also, he is well known for his conjecture about consecutive primes called “Andrica’s Conjecture.” He has been a regular faculty member at the Canada–USA Mathcamps between 2001–2005 and at the AwesomeMath Summer Program (AMSP) since 2006. Zuming Feng received his Ph.D. from Johns Hopkins University with emphasis on Algebraic Number Theory and Elliptic Curves. He teaches at Phillips Exeter Academy. Zuming also served as a coach of the USA IMO team (1997-2006), was the deputy leader of the USA IMO Team (2000-2002), and an assistant director of the USA Mathematical Olympiad Summer Program (1999-2002). He has been a member of the USA Mathematical Olympiad Committee since 1999, and has been the leader of the USA IMO team and the academic director of the USA Mathematical Olympiad Summer Program since 2003. Zuming is also co-founder and academic director of the AwesomeMath Summer Program (AMSP) since 2006. He received the Edyth May Sliffe Award for Distinguished High School Mathematics Teaching from the MAA in 1996 and 2002.